You are an artist. A creator. Art isn't just for people that went to school to become a painter, or your neighbor with the Art History degree. Art making isn't just for the rich, and no, you don't have to be mentally unstable to be a successful artist. Art can actually heal, it can help give insights into who you are, and help you grow. You are not under any obligation to show your art to the world, but you owe it to yourself to create, to make things with your hands (or computer mouse). However, getting started can be intimidating. With a huge world of possibilities, it can be hard to pick a place to start. 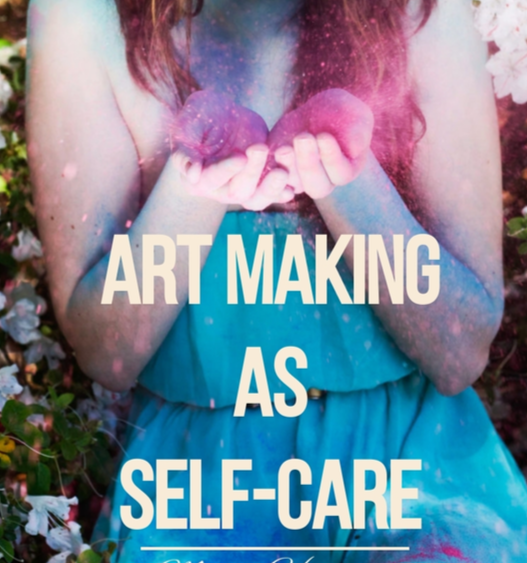 I've created the Art Making as Self Care ebook to help you on that journey to creating. In this book, you'll learn where to look for inspiration, how to come up with your own ideas, where to look for creative friends, and how to start creating art pieces that truly resonate with you. Over 30 pages of juicy art inspiration and full color photographs by me! Why is art so important anyway? Artful self-care activities for long days. Infuse your everyday with that creative spark. Technique & the creative process. Building a network of artful friends. Feedback is an important part of the artistic journey.